Taking good care of your teeth, gums, and mouth is important when it comes to preventing tooth decay, gum disease and bad breath. But it can also have a positive impact on the health of the rest of your body! Here, our Airdrie dentists explain how. It may surprise you to learn that a healthy mouth can help you keep the rest of your body healthy, too. It may help you ward off a variety of medical disorders, such as heart attack, stroke, diabetes and even pre-term labour. Your dentist can tell a lot about the status of your overall health by examining your oral health. You may not spare a lot of thought for your saliva in your daily life, but it plays many important roles that you may not be aware of. A health salivary flow is important in helping you break down your food and prepare it for digestion. In addition, it is your body’s first line of defence against various disease-causing pathogens, like HIV and even the common cold. Saliva also contains histatins, proteins that inhibit the growth of candida albicans, a naturally-occurring fungus. Finally, saliva also helps protect you from disease-causing bacteria. It contains enzymes that destroy bacteria in various ways, for instance by degrading bacterial membranes, inhibiting their growth and metabolism, and/or disrupting bacterial enzyme systems. Keeping your saliva flow healthy is easy: stay hydrated! Be sure to drink plenty of water throughout the day, and eat lots of fruits and vegetables. 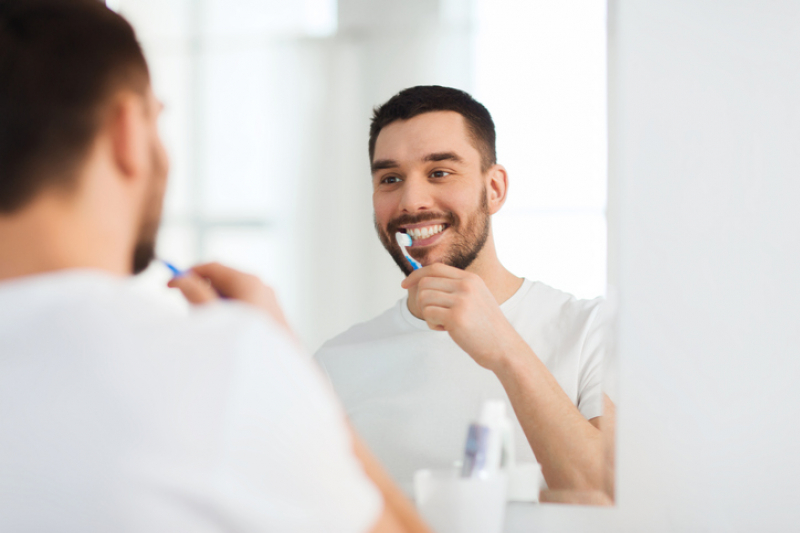 When you don’t brush and floss your teeth sufficiently, plaque can begin to build up along and under your gum line, causing an infection of the gums commonly known as gingivitis. Left untreated, gingivitis may eventually develop into gum disease (periodontis). When this happens, your gums become swollen and sensitive, and particularly susceptible to damage, even just from routine brushing. And as a result, the bacteria can enter your blood stream. If your immune system is weakened (by, for instance, a disease or cancer treatment), oral bacteria in your system can cause infections in other parts of your body. Having diabetes can put you at a greater risk for developing gum disease. In turn, gum disease can make diabetes more difficult to manage. If you have diabetes, it’s very important to be vigilant about your brushing and flossing routine. Oral inflammation caused by bacteria might also play a role in clogged arteries and blood clots. Some studies suggest that bacteria in the mouth may cause inflammation in other areas of the body, such as the arteries. This inflammation may act as a foundation for the development of atherosclerotic plaques in the arteries, which could increase your risk of a heart attack or stroke. Gum disease and tooth loss has also been connected, in some studies, to plaque in the carotid artery. Severe gum disease may also increase the risk of preterm delivery and of lower birth weight in babies. The theory is that the toxins released by the oral bacteria reach the placenta through the mother's bloodstream, and interfere with the development of the fetus. In addition, an oral infection may causes the mother to produce labor-triggering substances too soon, potentially triggering premature labor and birth. Visiting the dentist every 6 months for a checkup and cleaning, or as recommended by your dental professional. 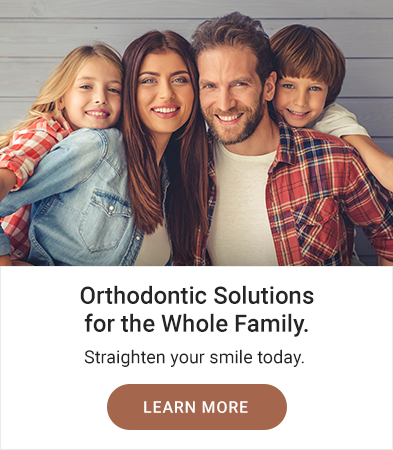 In addition to maintaining healthy teeth and gums, the relationship between your oral health and your overall health provides a compelling reason to take extra care of your teeth, mouth, tongue and gums. Make a resolution to practice good oral hygiene every day. In doing so, you’ll be investing in your overall health for the long term. 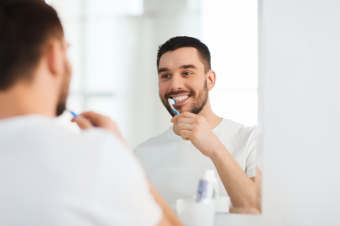 For more information about the connection between your oral health and overall health, contact our Airdrie dentists today!